If I file for divorce first, does that give me an advantage in the process? Does that mean I win? This is a question we hear fairly often. It makes a certain amount of sense, especially as many people view divorce as a competition. So, when you’re the first out of the gate, that means you have the lead, right? Not so fast. Our managing partner, Rick Jones, regularly appears on the Danny Bonaduce and Sarah Morning Show to answer listener questions. On a recent show, he fielded this exact one. “The quick answer is no. Being the petitioner doesn’t change any of the formality. It doesn’t tell the court that you must be on the right side if you’re the one in there. But, here’s where the more complex and ‘realer’ answer comes. Often times in a divorce, there’s a little bit of an explosion. A need to address some issues at least on a temporary basis right now, the ones that can’t wait a year for that trial to occur. Temporarily who’s going to be in the house? Who are the kids going to be with? Who’s responsible for the mortgage? “So what happens is when you’re the petitioner on the case, you’re also the one filing the motion for temporary orders. Rick: “Well that happens all the time too. We talk to people and say, ‘Don’t leave the house if you have ANY desire to contest for custody.’ Because obviously at that point, you’re out, she’s in, and more importantly, the kids are in. 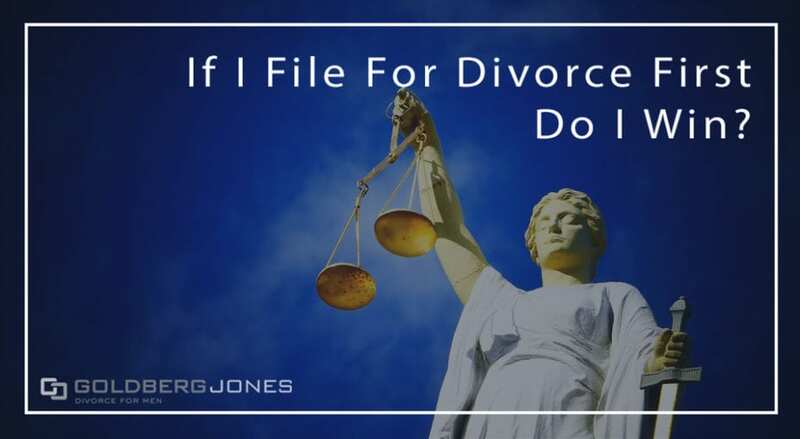 If you have questions about your case or need to talk to a divorce lawyer, contact Goldberg Jones.